Colin Kaepernick is without a doubt one of the most controversial athletes of this century. The disgraced former San Francisco 49ers quarterback piggybacked kneeling during the National Anthem as some sort of social justice cause but all it did was outrage millions over the blatant disrespect for the armed services. And, thankfully, Kaepernick’s ego was just destroyed by this outcome. People wonder all the time whether Colin Kaepernick is genuine about wanting to return to the NFL. Most critics agree that Kaepernick would be a “bubble starter” at best, which means that he would likely start for a terrible team or be a backup on the rest. One rumor that has floated around about him is that he wants too much money to return to the uniform, especially if he’s only the backup – it’s just too much against the cap that you can’t spend on other talent to fill the voids on your team. But new reports suggest Kaepernick was really interested in the opening slot starting job for the Miami Dolphins. However, they weren’t interested in him in the slightest. But unfortunately for Kaepernick’s “desire” to play in the NFL again – he hasn’t since 2016 – the Dolphins didn’t want to take on that baggage. Instead, the Dolphins signed veteran Ryan Fitzpatrick to the roster. The Miami Dolphins have agreed to terms with quarterback Ryan Fitzpatrick on a two-year contract, a source told ESPN’s Cameron Wolfe. A source told ESPN’s Adam Schefter that the $11 million contract contains incentives that could boost the deal to between $17 million and $20 million. Although that seems like the starting job is open, it’s not, and for the same reasonthey didn’t sign an over expensive Kaepernick – even if they thought it was best – because they’re not going to float that cap money to a player who isn’t the starter. It’s just not going to happen. So where does that leave Kaepernick? He’s left twiddling his thumbs in the dark. Alone. After his explosive lawsuit against the NFL about colluding against him to keep him out of the league, it’s likely he’ll never play again. Also, he just accepted an undisclosed financial amount to settle the suit. Some estimate it’s in the $20-80 million range. But Stephen A. Smith of ESPN put it best when he said that Kaepernick is loving this whole Martin Luther King Jr. or Rosa Parks level of infamous too much to throw it all away to play again. That’s probably why he asks for so much money because he’s fully aware that a team can’t pay him that ridiculous amount. 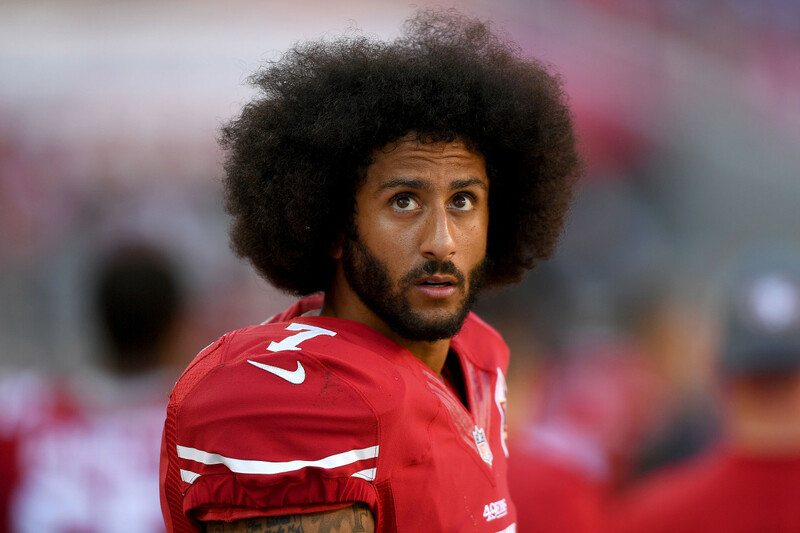 He likely never wants to play again and is fine with the outcome because Kaepernick’s considered a cultural social justice force amongst liberals in America now. With that said, this has to be a huge blow to his ego that they are willing to pay Fitzpatrick as much as Kaepernick believes that he’s worth. Then again, he probably orchestrated it that way.